One of the highpoints of Christmas for me this year will be the return of the Gift dragon. 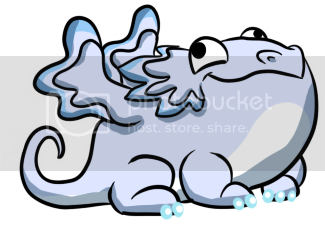 I accidently sold one of mine several months ago and it's the only dragon that I don't have two of. You know your addicted when you wake up in the middle of the night to get another set of dragons breeding for the needed gem or limited dragon. Guilty! Does a Double Rainbow have 2 pots of gold or 1 large pot of gold? You know you are addicted when you play during work, knowing that if. You get caught you can get fired. Guilt, but luckily have not been caught! How many addicted reasons can you list? So far, mine are all of the above, and all of the below. -You know you’re a DV addict when you turn off the “auto-lock” option on your phone so that you don’t have to worry about your phone interrupting the loading phase. -You know you’re a DV addict when you have two iDevices and they both have DV loaded on to them. -You know you’re a DV addict when you and your friend immediately text eachother upon the release of a new dragon. You know you're a DV addict when you book your hotels to ensure that they all have wifi and also stop off at wifi hotspots so you can keep playing while you are on a road trip!! You know you're a DV addict when you by an iPhone just so you can play when you are in between said wifi spots! You know you're a DV addict when you start making plans (months before) on leaving your iPad with a trusted friend so they can play for you while you are in Africa on Safari!! You know you are addicted to DV when, when you permit your children to play games, you check on up on them every 10 or so minutes to make sure they aren't playing DV and potentially selling your dragons or spending your gems. Nope. You are only an addict if you cancel the trip unless they guarantee wifi access. But you do know you are an addict when you read a silly list like this one and say "Yep. I can relate to that" after every point. You know your a DV addict, when your students ask how your dragons are doing. I'm playing all the right notes, but not necessarily in the right order! You max out your long distance phone plan talking to your BFF about Dragonvale. You pay for extra internet each month. These are great! We're hopeless. And it's time to join a 12 step program when you find yourself humming "dum di-di-dum dum duumm" while doing nothing remotely related to DV. Yes, yes, all of the above...and, you know that you're a DV addict when your young daughter says, "Mommy, did you breed with Daddy?" My GCID is Mario~1 (aka Stella~1). You be responsible for your soul, I'll be responsible for mine. You know you are addicted when you get a notice from the data company that you have used 95% of your allotted monthly amount breeding plant dragons for Magic. You know you are a DV addict when you've always thought iPads were pointless and annoying, but suddenly decide you have to have one so you can play the game. You know you are a DV addict when you risk motion sickness just to check on your dragons during road trips. You know you are a DV addict when you decide to upgrade to a smart phone which you also always thought was annoying and pointless just so you can play DV those three nights a month you are staying in a house without wifi without having to drive 5 minutes down the road to get to a McDonalds. Guilty on all 3 counts. Complete Quiet and Peace of mind for one hour, that's what I crave. You know you are a hopeless DV addict when you actually consider making the cottage on the opening picture in gingerbread for the holiday season.